Any injury to the teeth or gums can be potentially serious and should not be ignored. Ignoring a dental problem can increase the risk of permanent damage as well as the need for more extensive and expensive treatment down the road. Here's a quick summary of what to do for some common dental problems. If a wire breaks or sticks out of a bracket or band and is poking your cheek, tongue or gum, try using the eraser end of a pencil to push the wire into a more comfortable position. 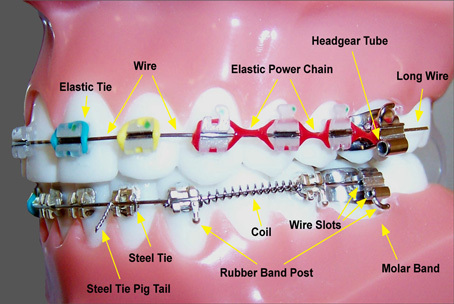 If you can't reposition the wire, cover the end with orthodontic wax, a small cotton ball, or piece of gauze until you can get to us. Never cut the wire, as you could end up swallowing it or breathing it into your lungs. Place the wax over the braces to provide a cushion. See us as soon as possible. If the problem is a loose band, save it and call us for an appointment to have it recemented or replaced (and to have missing spacers replaced).